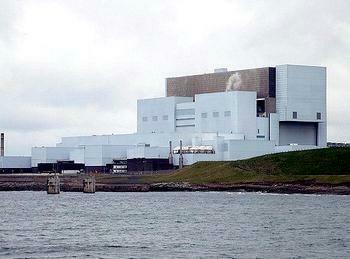 EDINBURGH, Scotland, June 30, 2011 (ENS) – A nuclear power station in eastern Scotland manually shut down its two reactors Tuesday after large mass of jellyfish was found in its seawater filter screens, the operating company said today. “Both units at Torness power station were manually shut down on 28 June, due to the high volumes of jelly fish fouling the cooling water screens,” said a statement from EDF Energy, the French company which operates the power station. The power station near Dunbar in East Lothian has two advanced gas cooled reactors, but the power plant also draws in water from the North Sea to help cool its nuclear fuel. The filters prevent marine creatures and seaweed from entering the cooling system. EDF Energy is clearing jellyfish from the waters near the power station and the reactors will be restarted once the numbers have gone down. “There are no radiological aspects associated with this event and there has been no impact to the environment,” she said, but she was not able to comment on when the reactors might be restarted. The Office of Nuclear Regulation had been informed of the incident, she said. The Office for Nuclear Regulation is the United Kingdom’s new regulator for the civil nuclear industry. Created on April 1, 2011, the ONR is formed from the merger of the Health and Safety Executive’s Nuclear Directorate and, from June 1, 2011, the Department for Transport’s Radioactive Materials Transport Team.